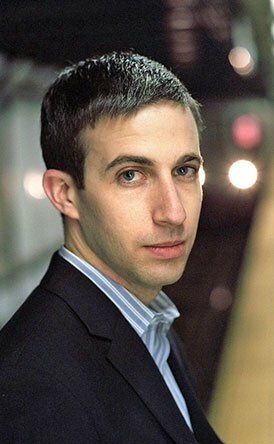 The young Israeli-American pianist Benjamin Hochman has been stirring up quite a bit of interest recently. He gave his first performances in the mid-Hudson Valley area on two consecutive days: Saturday evening, June 28th, at Bard College, and Sunday afternoon at Maverick Concerts in Woodstock. With luck we’ll be hearing a good deal more of him. The program concluded with Dvorák’s Piano Quintet in A Major, Op. 81 (actually his second, but almost nobody plays the first). This is one of those pieces that I love dearly but find myself getting a little tired of. Well, not this time! The opening theme was stated with such relaxed rhythm that my reluctance melted right away, and I was swept into Dvorák’s world with glee. Beautiful sound was only one attribute of this glorious performance, and again, when more roughness of sound was appropriate (in the Scherzo and parts of the finale), the musicians were not afraid of it. This performance was probably put together in a couple of weekend rehearsals, like typical summer festival collaborations. I know that Hochman and the Shanghais had not performed together before. But the concert sounded as confident and mutual in purpose as though they had a long history together. And as if to show how quickly they can put things together, the combined performers topped off a long program with an encore, the Scherzo of Schumann’s Piano Quintet, at a dizzying tempo. I hope they all come back next summer to play the whole thing.